Thanks for Being a FallCUE Office 365 Rock Star! Hacking the Classroom at SJCOE Tech Summit 2018! 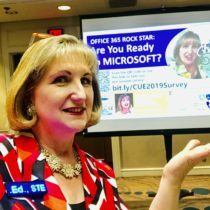 ISTE 2018 – Collaboration & Creativity in Action!